As majority of OEMs are looking to go with triple or quad rear styling, the iPhone maker too eyeing to bring the same system to its next flagship devices. It is believed that the new rear camera system and dual pop up selfie system will be offered on Apple iPhone XS Max successor. The iPhone XR and iPhone XS devices will continue to sport similar camera design as that of the predecessors. 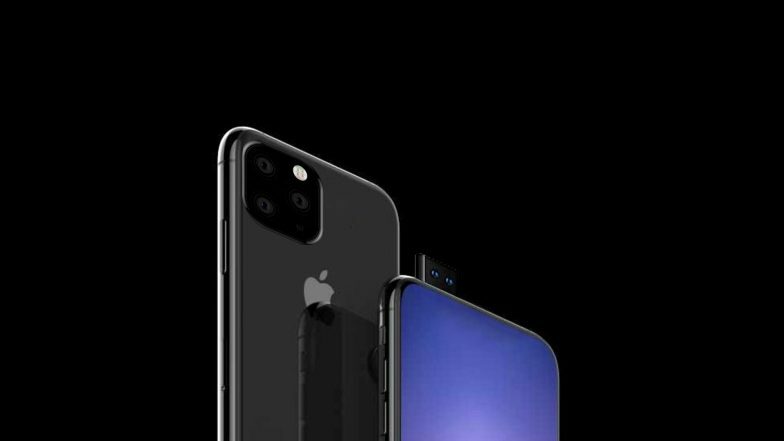 It is also rumoured that Apple will be introducing reverse wireless charging technology on iPhone 11. It would be employed for charging Apple watches and Apple AirPods. There have been several speculations in the market claiming that the company could also change the bundled charger of iPhone 11 to 18W USB-C adapter. The company is expected to launch the new iteration of iPhones late this year. It is to be noted that the date today is April 1, which is known as April Fool's Day. The above article is a celebration of the same (a work of fiction). Happy April Fool's Day.